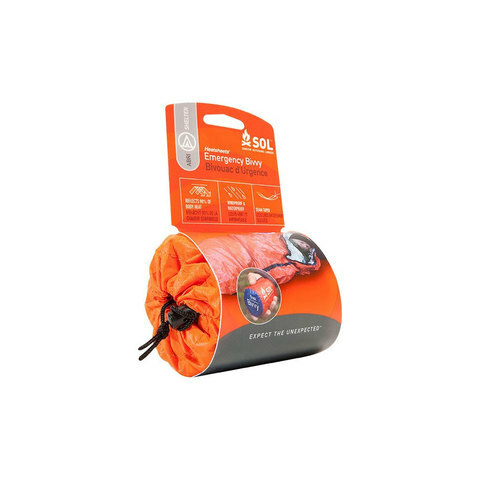 The SOL Emergency Bivvy is a full protection emergency shelter from AMK. It is made of teh same heat-reflective polyethylene as AMK's emergency blankets, with sealed side for maximized heat retention and protection from the elements. It weighs only 3.8 oz and compresses so small, you won't hesitate to bring this piece-of-mind on every hike. Dimensions: 36 in. x 84 in.